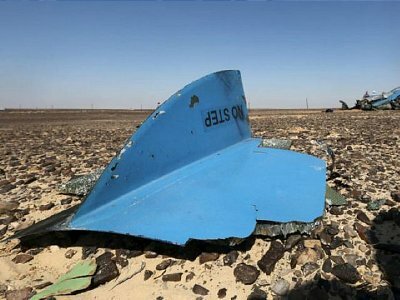 Four days into the investigation into the fate of Flight 7K9268, the Egyptian government said there was no evidence to support claims by Russian officials that the Airbus A321 “broke up in the air”. It is the most public rift to date between the two governments, which initially both strongly suggested the aircraft had been brought down by a technical fault, only to concede later that foul play was a possibility. As investigators from both countries began examining the plane’s black boxes, the Russian news agency Interfax reported that a cockpit recorder had picked up sounds of chaos in the flight’s final moments. “Judging by the recording, a situation onboard developed suddenly and unexpectedly for the crew, and as a result the pilots did not manage to send a distress signal,” a source said. An Egyptian doctor who examined around half of the 224 bodies told The Telegraph that about one in five of the corpses had been badly burned in the moments before death. The finding suggests that a fire broke out in the cabin while the plane was still the air but the doctor was not able to firmly conclude what caused the fire. Meanwhile, Egyptian president Abdel Fattah al-Sisi said that speculation the flight had been brought down by the Islamic State (Isil) was “false propaganda” intended to damage Egypt’s image. A spokesman for Russian president Vladimir Putin said there was no evidence of terrorism and it was “inappropriate” to speculate on whether the flight may have been downed in revenge for Russia’s intervention in Syria. US intelligence said their satellites had detected a mid-air flash as the aircraft went down but were able to rule out a missile strike because there was no tell-tale heat trail coming from the ground. The flash could be the explosion of a bomb going off but could also be a mechanical breakdown, like an fuel tank erupting, the American officials said. Security has been stepped up at Sharm el-Sheikh airport, where the Metrojet flight took from 23 minutes before being lost to radar. Long queues waited at a security check but British tourists said they did not mind as long as it kept them safe. “I’d rather to wait for careful check and return back home safely and not have my plane crashed.” said Nick Matthews. Metrojet flights to and from Moscow and Nijni Novgorod continued out of Sharm el-Sheikh despite the questions surrounding Flight 7K9268. In St Petersburg, a second government aircraft carrying human remains, personal belongings, and documents recovered from the crash site arrived early Tuesday morning. “As of today 140 bodies and more than 100 body parts have been brought to St Petersburg,” said Alexei Smirnov, the head of the national emergency response centre in Moscow. Nineteen victims had been identified by relatives by yesterday evening, officials said in a briefing. Victims so far identified by relatives include an eight-year old child from the town of Novgorod and Alexander Kopylov, the deputy mayor of the city of Pskov. The remains have been sent to the morgue at the city’s main crematorium for identification and examination by forensic pathologists before being released to families for burial. Officials have said it could take weeks to fully identify all 244 victims, and DNA samples were sent to Moscow on Tuesday to held identify some of the most badly damaged remains.